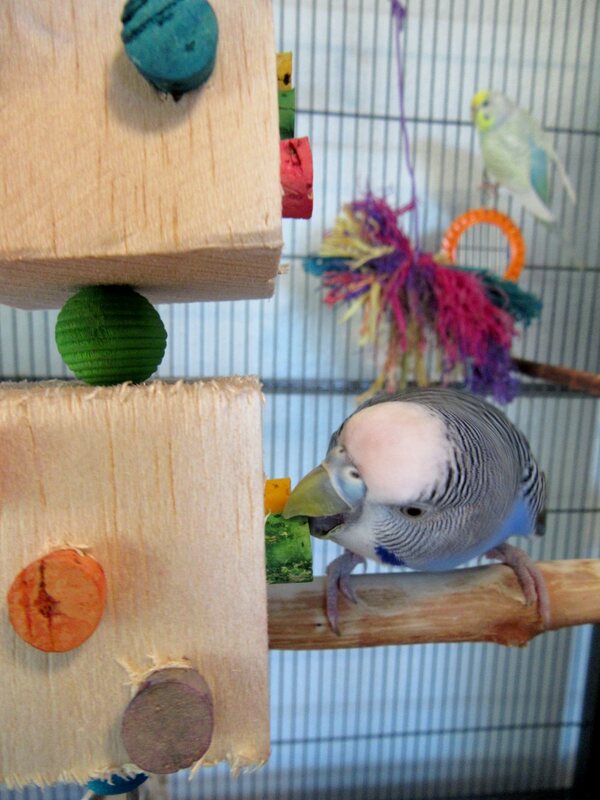 This entry was posted in Holiday Fun and tagged budgie, budgie birthday, Cooper, holiday fun, parakeet by Michelle M.. Bookmark the permalink. 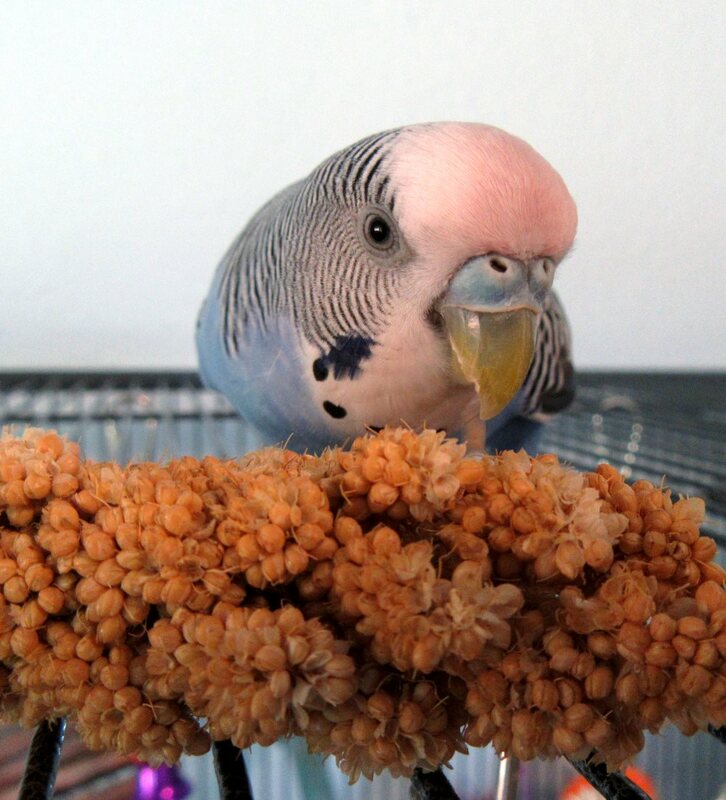 Happy Hatchday to that diva among budgies, Ms. Cooper McKee! 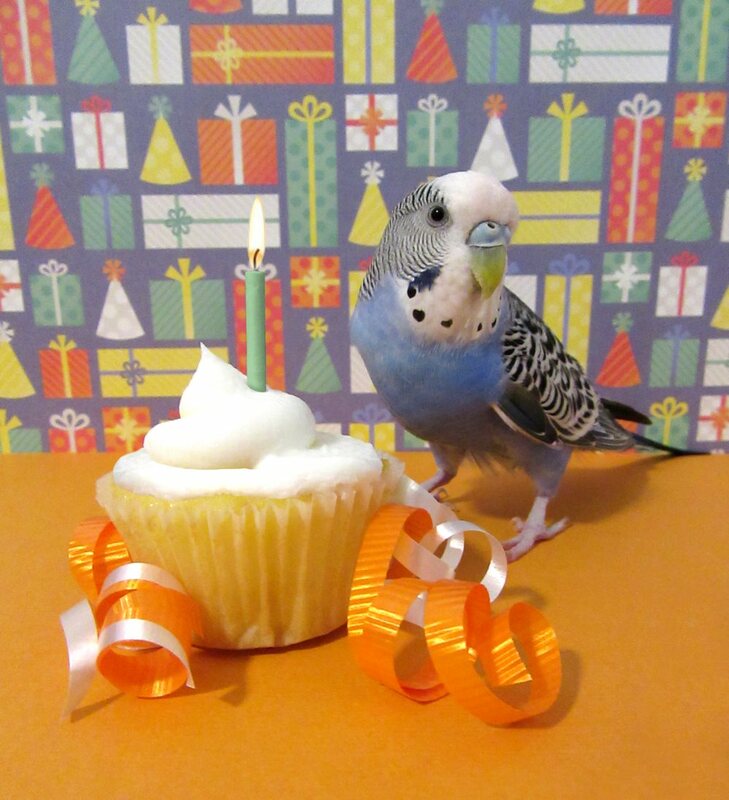 Those pictures show a bird who knows how to celebrate! Kisses on your day from Jan and Puck!